Another 52 Weeks #4: 1 table, 2 tables, No Tables! As I mentioned last week I wanted to take this 3rd week of the month and focus on selling products. 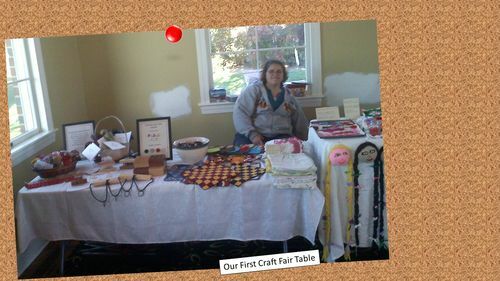 First a little background… My wife and I both enjoy making things, she in her sewing room and I in my shop, we decided about 4 years ago to participate in the local HOA craft fair in the fall. 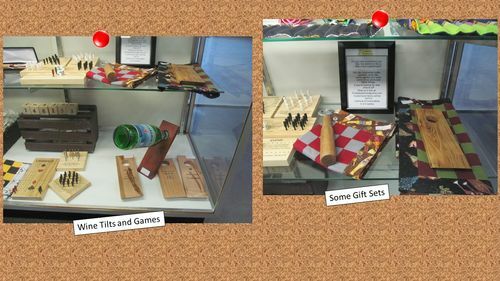 We decided to stick with one major theme for both of our stuff… Portable Pastimes. We didn’t even have enough items to fill one 6’ table, we shared a space with my mother who makes burp towels, bibs and baby blankets. Since then we have done about 6-8 holiday craft fairs each Fall and 2-3 in the Spring. 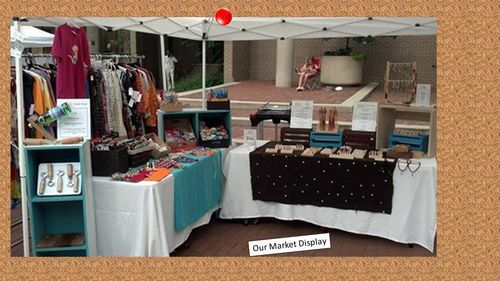 Last year we found the Reston Market and decided to take on a monthly space. We chose the 3rd week of each month and only missed one due to foul weather. We also got a space during some of their special events which worked out nicely. As you can see we are much fuller now. This was new experience for us as in the past we were making product throughout the year and storing it away for the Fall. Now we were selling product throughout the year and also taking orders for stuff. We made it through well and it taught us some lessons in batch processing. My items are a little easier to batch process then her’s but the lessons are still coming and we are planning to do the market again this year. I will look forward to covering some of the batch processing later on in the blog. Just before Christmas we were invited to a Craft Show in New Jersey at a brand new Antique and Handicraft gallery. Carnival of Collectables was holding a craft show to highlight its opening and also bring folks in. 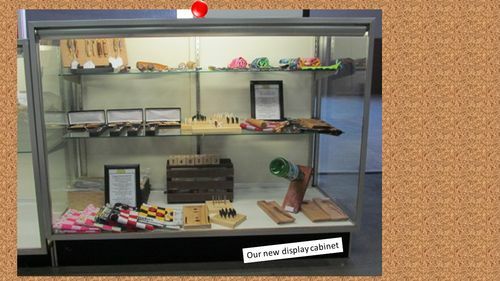 The craft show was pretty light, but we decided to open a mini storefront there in the form of a glass display case. 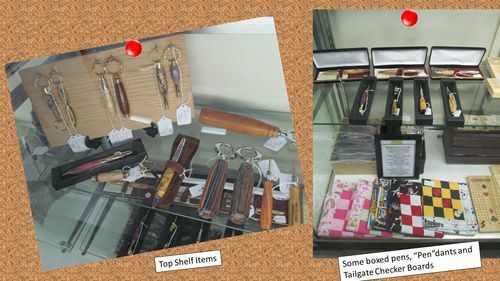 We have sold a few things and there are also more vendors coming in each week which is helping to bring in the business. I was up there again this weekend to rearrange the case and remove the few holiday themed items I had left behind. Here are a few of things we are trying out in this new type of space. The gift sets are fun way that we can combine something from both of us. I am also looking forward to putting a few of these together for next Fall’s craft shows in a gift box. There are some ideas here but I fear I have already rambled on long enough. So for the 3rd week of next month I think I will again focus on these ideas but on one particular part such as displays or something. Let me know if there is something you would like me to address. Until then have a good week in and out of the shop.